Where’d All The Salesmen Go? Back in the day there were actually guys(not being sexist, remember this was a long time ago, they didn’t even have the internet) that went door to door with briefcases full of samples of products that they were authorized to sell. The world doesn’t work that way anymore. People don’t sit around waiting for some poor salesman to show up and sell them something. They get on Google, type in something like “Zippo lighters for sale on…” and they buy it. This is good for the consumer because you don’t have to worry about whether that New Zippo is authentic. Zippo would not allow Amazon to sell their products if they were also selling counterfeits. I know a lot of people like to collect Zippo lighters. I own a few myself that mean more to me than any sum of cash they could potentially fetch. The cool thing about Zippos though, is that brand new Zippo that you buy today will probably last the rest of your lifetime. Ya, you’ll probably have to add fuel to it once a week for the rest of your life too. But how much of an inconvenience is that really? Truth be told the first time you run out of fuel with a Zippo, or any other refillable lighter for that matter, you’ll be glad you can refill it. Lighter fluid is cheap and you’ll have the satisfaction of knowing that you purchased a great product that will have less impact on the environment than its plastic counterparts. There’s really only one thing to put in this list and I’ve already mentioned it. It is the perceived need to constantly refill a Zippo as opposed to that cheap plastic lighter that you throw away. It is undeniable that Zippos do leak fluid. That leak is by evaporation and there are some hacks or tricks that one can employ in that regard. However, if you never take any steps to seal your new Zippo against evaporation, you still made a fine choice. I would bet that most smokers waste just as much fluid from plastic lighters that break, leak or get lost. Not only do we have multiple things for this list, it’s hard to decide where to start. There’s a Zippo for everyone. Whatever your interests, there’s bound to be a Zippo Windproof Lighter with a team logo, brand name, design, precious metal, etc. that would make you proud to call it your own. If you take care of it a Zippo will never let you down. It only has a few parts. Not only that but Zippo has never charged for a single repair. They are world-famous for their lifetime guarantee so if it ever needs repair then it’ll cost you a few bucks to mail it to them but you’ll have your lighter back and in working order usually within weeks. 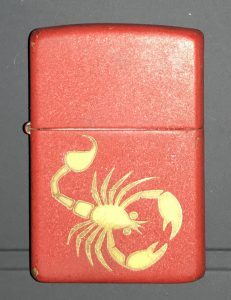 A Zippo can be handed down as an heirloom to a relative or friend. A Zippo can be given as a gift for just about any occasion, a smoker can never have too many dependable lighters. The Zippo is a proven design, time tested and still making fire. You can personalize some Zippo lighters with engraving or your organization’s logo. You can store extra flint underneath the lift tab where you fill it with fuel. This way when your flint is spent, you just drop in another and keep on sparking. A Zippo is an excellent choice if you plan to use a hemp wick. I would suggest a plain brushed chrome model. In case of a zombie apocalypse, I’d much rather have a Zippo in my pocket than a cheap plastic lighter. 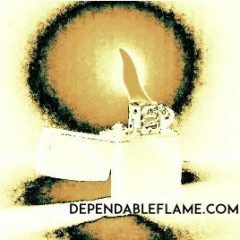 It’s hard to refill those disposable lighters but with a Zippo there would be a multitude of suitable fuels available. If you like to have plenty of lighters on hand, Zippo is great because the parts are all so interchangeable. Wicks, flint, fuel, inserts are pretty much two sizes fit all: Zippo and Zippo Slim but even they use the same flint and wick. I believe I have provided more than enough reasons to be able to confidently recommend Zippo if you are planning to purchase a new lighter. That being said, I’d like you to consider something. 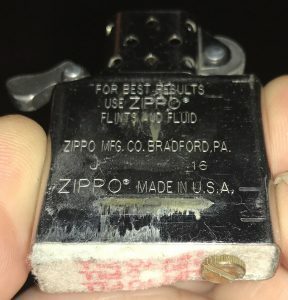 Zippo has been making their lighters since 1932. Now think of all that has changed since Zippo started producing this Iconic American product. In 1932, there were still a lot of Americans with no indoor toilet. Telephones had to be plugged into the wall. People smoked wherever they wanted whenever they wanted. There had only been one World War. I don’t think people even had televisions yet in 1932. Weed wasn’t illegal yet, that didn’t happen until The Marihuana Tax Act of 1937. My point is a lot has changed in the world since 1932 but the Zippo Windproof Lighter has changed very little. There have been countless advances made in the art of fire technology yet the Zippo is always there when the new technology fails. USB lighters seem to be all the rage these days but I just keep thinking, “what are they gonna do if there’s no electricity available?” I don’t want my ability to light up being dependent on electricity. We had fire long before we harnessed electricity. We can survive without electricity and someday we may have to. Wish I could say I knew a lot about lighters but I don’t sadly enough. lol. What I do like though is that you mentioned the cons before the pros though. I always felt that was the best way to present something because then it lets people know then and there “hey this might be something you should keep in mind beforehand” I do have a question though, do lighters themselves have an expiration? I’ve always been curious about that. Jasmere, I found a locked briefcase in my attic a couple months ago. Hadn’t seen it in 20 yrs. Busted it open and there was a Bic lighter in there. I hit the button and heard that hiss. Same thing after going through the washing machine. If the seals hold, that gas ain’t going nowhere. I never really paid attention to these lighters before but I do have friends that smoke and this could be an easy gift to give for Christmas. Thanks for sharing. Check OUT our Ebay listings, Nate. 10% of all our Ebay sales benefit HDSA-HUNTINGTON’S DISEASE SOCIETY OF AMERICA and we stand behind the lighters we sell 100%. If a lighter you buy from us ever quits making fire, you just let us know and we will make sure you’re able to light up by fixing or replacing your lighter. 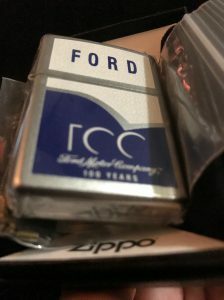 I would like to purchase a Zippo for my father. I have a question about the Zippo. How do I distinguish the truth from falsehood? Please give me some tips. If you are concerned that you could purchase a counterfeit for your father by mistake then there are a few steps you can take. 1. If buying new buy on Amazon or directly from Zippo. 2. Become familiar with the manufacturer’s marks if you plan to purchase vintage or used(I can send you some resources if you’d like.) 3. Avoid lighters that make outlandish claims. For instance, just because a lighter was manufactured in 1969 and has some poem about war scratched into it doesn’t necessarily mean that an infantryman carried it in the Vietnam War. Let me know if I can help any further. 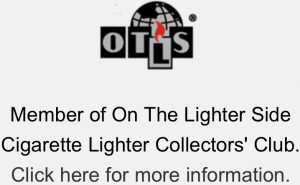 Sadly, I don’t know anything about lighters as such. But based on your review, I think it will make a great Christmas gift for collectors. Guess I am gonna get one. Thank you, Maggie. Have a look around the site and if you have any questions just ask! 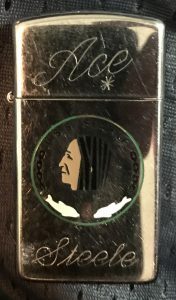 Thank you, JR. I’m going to be posting an article later today taking a look at an old and very scarce Allen-Haddock sterling silver lighter. great review. I don’t smoke, but I still admire zippos. I like the idea of having something that will last forever…plus it’s really cool to flip your wrist and close the top to put it out. Thank you, William. Spread the word to your smoking friends. We can repair many old lighters that some might throw away. Sweet article. I love my Mary Jane Zippo. However, the butane is pretty expensive in the stores. Do you know where I can get it cheaper? Absolutely, Garen. Whether you need a little or a lot, Amazon has the perfect deal for you.